Since graduating from McMaster in 2010, I have moved to the U.K where I am currently working on my thesis for a Master’s in Classical Art and Archaeology at King’s College London. My particular interest is in the Roman military in provincia Arabia, looking closely at military-civilian interaction and the socio-economic status of towns with Roman forts. Therefore, it was particularly fortunate that I had the opportunity to go to Jordan this summer and participate in the 2011 field season of the Bir Madhkur Project, run by Dr. Andrew Smith II of George Washington University. Bir Madkur is the site of a Roman fort in the Wadi Arabah region (the area between the Dead Sea and the Red Sea) of southern Jordan. This season’s focus was on surveying the fort’s hinterland, which means we were walking through alluvial fans (fields of boulders and rocks), wadis (large valleys, typically with ephemeral riverbeds), and up mountains along transects. Transects are pre-determined paths which are assigned through geo-spatial information system (GIS) software. The goal was to find, record, draw, and photograph the remains of anything that looked man made in order to determine how the land around the fort was used. As well as finding walls, graves, and possible structures the area was littered with pottery, we even found the occasional coin and ring. One of the more interesting aspects of working in Jordan is meeting the people, especially the Bedouin, who are incredibly friendly. 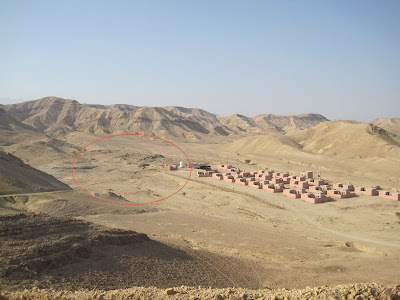 The Bedouin are nomadic peoples and thus, are extremely familiar with the topography of Jordan and very often can identify the remains of something “old” in areas where it is particularly difficult. It was a special and unique experience working with the Bedouin, who in turn taught me a little bit of Arabic. On the weekends, we had the chance to go out and explore Jordan. I used this time to go to Aqaba (Roman Ailia) and Petra, where I got up close and personal with the Khazneh, walked into the Urn Tomb, explored the Great Temple, and rode a camel. I also saw the Roman forts at Humayma and Da’ajaniya, as well as a medieval castle at Shobek. At the end of my trip, I got to spend a little time in Amman at the American Center of Oriental Research (ACOR), where I had the chance to do some research and explore the city. Jordan is an amazing country and its people are incredibly welcoming. 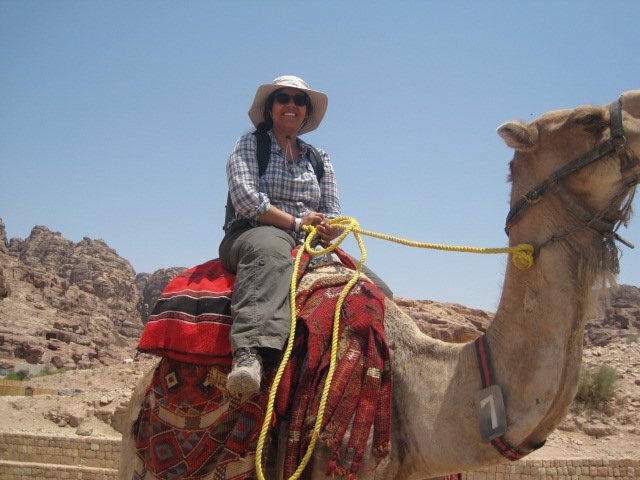 I am grateful to ACOR and King’s College London for funding my Jordanian adventures, through the Jennifer C. Groot Fellowship and the Jeeve’s Travel Grant. This experience has greatly informed my research and I hope to return to Jordan next summer to continue adventuring in the desert.